My flight was originally booked with Lufthansa but due to the dispatcher strike I was put on the direct TAP's Lisbon - Prague flight. I could read many complains about TAP here but my experience with the airline is quite the opposite. Despite the pressure the ground staff was friendly that I can't say about many passengers. Yes the flight was delayed but I appreciated not having to spend the night at the airport. Meal vouchers distributed despite the fact the delays were not the airline fault. Snack and beverages served onboard. Clear sky almost for the whole journey so I enjoyed it. ZRH-LIS Business A321. Airplane with newly painted fuselage but inside still the old style seats with the old tap logo. Legroom seems to be little compared to Swiss. No hot meals but only a cheese and ham platter on china. Good wines. Flights 30min delayed. Priority baggage was last on the belt. But really annoying was another off-duty-crew travelling in last rows in Business sitting 3-3. There was a lot of loud chatter. Crew members off-duty passed by all the time visiting their colleagues in the galley. No calm atmosphere in the cabin. Hence overall not recommendable. Return flights from Luxembourg to Lisbon and found the airline to be overpriced. Level of service is like Ryanair but double the price. Our return flight home was changed to leave 3 hours earlier. We were informed about this change in an e-mail with the title "Confirmation" so we reasonably assumed it was just re- confirming the flight we had originally booked. Little did we know that this e-mail was exactly the same as our original "Confirmation" in all but one detail yes you've guessed it - the departure time of the return flight. I don't think it is too much to ask to receive an e-mail that says "changed flight" somewhere preferably in the subject line when the schedule is changed. Needless to say we missed our flight and incurred large costs in the effort to get home. The flight we managed to get (which only brought us as far as Brussels) took off 40 minutes late apparently not an uncommon occurrence at TAP. We have flown to Portugal twice - first time with Ryanair and we said never again not to be treated as cattle. Second time with TAP outward very pleasant and on time cheaper than Ryanair. Return flight cancelled and re-routed via Heathrow with 6hrs lost cancellation said to be due to staff not turning up for work? Ottawa Canada to Lisbon Portugal via London Heathrow return. Flew TAP on London to Lisbon leg arrived on time but our luggage didn't. (Connection was 1.5 hours). We were travelling onward by train to Porto so we made a baggage claim with Ground Force. They located our bags in London and forwarded them onto us the next day. 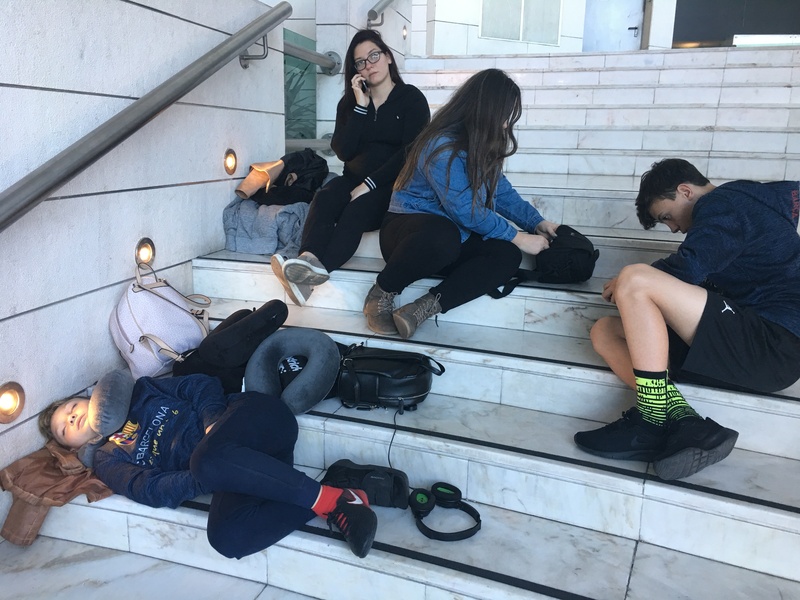 On the return flight we were met with: Immensely long check-in lines flight from Lisbon to London was delayed 2.5+ hours. Knowing we would miss our connection we saw the Customer Service agent. It took over 1.5 hours to rebook our flight home. They booked us to fly through the USA but did not pull our bags or inform us where our bags had gone. 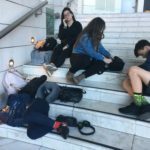 We arrived in Newark at 4pm and they would/could not book us on another Star Alliance partner so we were forced to spend the night in a hotel and travel the following day. When we finally arrived home 24 hours later than planned the Customs officers were less than impressed upon explaining we didn't know where our bags were. Just not worth the headache/stress. Gatwick to Funchal and back May 2012. Overall impression very good. Online check-in was quick and easy. Flights each way were on time. Aircraft was clean and there was more leg-room than some holiday carriers I've flown with. Flight attendants were polite. Refreshments very basic - really just a make-it-yourself cheese and ham roll and a cup of tea or coffee. No re-fills. Announcements in Portuguese and then English. Would fly again with TAP and most definitely in preference to Easyjet! LHR-LIS-MIA-LIS-LHR. A320/319 on LHR-LIS legs and A330 LIS-MIA. 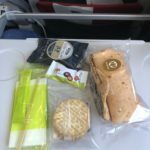 I paid just over £300 for all flights so I wasn't expecting too much but I was pleasantly surprised. All flights on time and on modern aircraft. 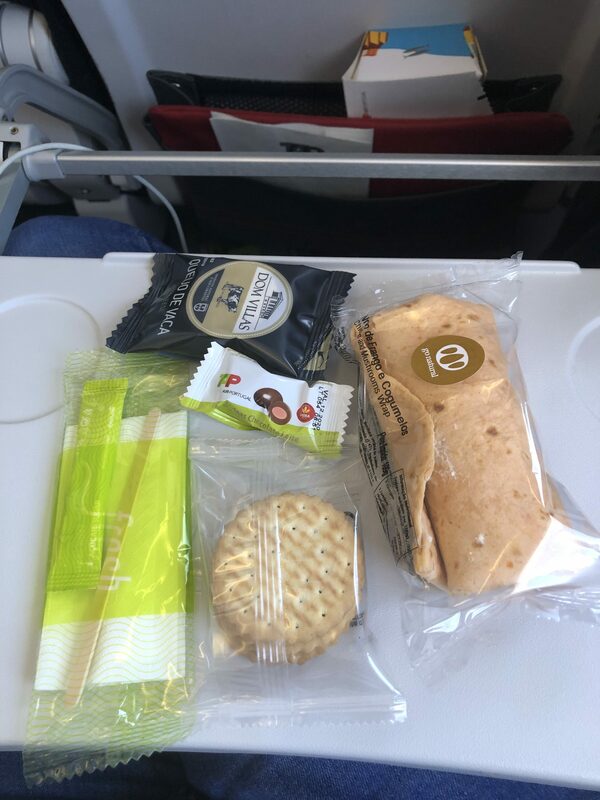 Food on all legs was ok and the cabin crew were professional throughout. I would have no hesitation booking with TAP again if the price was right. 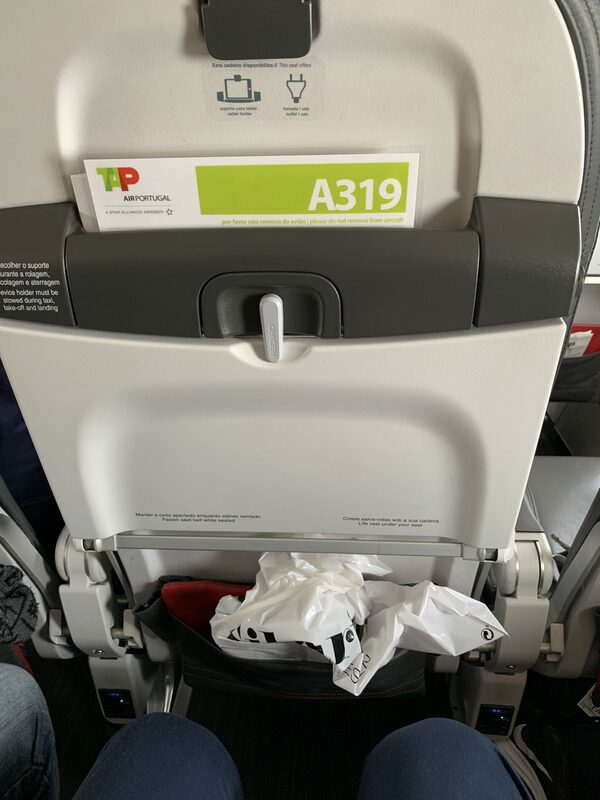 Flew TAP from Lisbon to LGW on April 7. Great leg room new plane very courteous staff and regular/decent plane meal. I could not ask for more for such a short flight distance and such a cheap price. I have flown to and from Brazil many times in the last year. 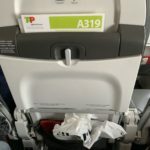 Their airbus planes from Northern Brazil to Lisbon is old with seats falling apart and entertainment systems that don't work. Onboard service is horrible after the main meal is served cabin attendants disappear and if you press the service button they never appear. They serve alcoholic beverages with the main meal but you can't get a refill or an extra beer if you wish! Airport in Lisbon is horrible. In Frankfurt Lufthansa manage to board a 747 in 30 min but in Lisbon Tap takes an hour to board an airbus! I bought a so called business class ticket from Sal Cap Verde to London via Lisbon. It was over 1000 euros one way and a night flight leaving at midnight arriving via Lisbon change of plane at 10.30 am. It was appalling! So called business class seats were ordinary economy seats on both flights. Food was very ordinary. No biz class check-in or priority boarding. Change of plane at Lisbon was awful with buses everywhere business lounge wasn't signposted and had to go through security twice at 05.30 am. No inflight entertainment to speak of just a central few screens and no headphones offered.